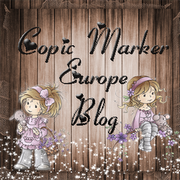 Welcome to the Aurora Blog Hop! I'm keeping my post very short today - since I know that you want to see what the rest of the ladies have been up to. Would love it though if you leave a little mark of your visit - it's always appreciated. Today I would like you to meet Jocelyn! She's one happy girl from In Style Stamps. Love the fact that she seems to like Autumn - as much as I do. Yes - I actually do - especially those sunny days with crisp fresh air. Well - it's not Autumn her yet - but yesterday evening it was a little bit chilly in the air. So I know it's on it's way. I coloured Jocelyn with my copics. The DPs used are from SU. Did not want to use too many embellies - since I did not want to cover that beautiful DP. Added a few dew drops, ribbon and a matching charm. Hope you like it! This TIOT is all about Animals! You should create any project using an animal stamp only. So are we lucky to have this beautiful horse "Carousel Dreams" to work with?! I coloured him with my copics as always. I found the perfect DPs from my Kaisercraft stack. Added a few flowers (that I got from my sweet friend Marlene a long time ago) and pearls. The sentiment is from Aud Design. As always - looking fwd to see what you will create this time. New release coming soon and more candy! 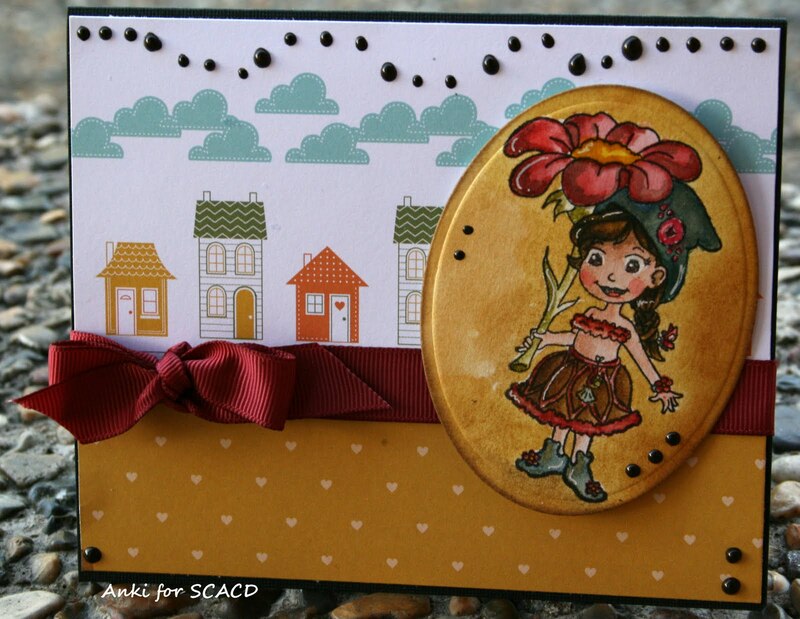 The She’s Back & Better then Ever Release by Victoria Case for SCACD Stamp Co is soon here!!! 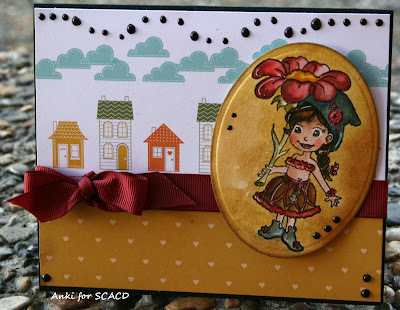 Mark your calendar for July 30th for the release and a new fun blog-hop with the SCACD DT and Quixotic Paperie DT. Pop over to the SCACD store blog to read all the details about the BLOG CANDY that starts today! Also - remember that you still have the chance to enter the Viva Decor Candy. Click here and it will take you directly to the Viva Candy. Love being on vacation since this gives me the time to try new things that I've wanted to try for a very long time. So I coloured Little Eden with my copics and created a little baby card. DPs from Maja's Design (a Swedish brand) that I got at my local craft shop. Added a little lace and pearls. Then I checked Maya's tutorial on how to create a baby pram out of paper. I will not keep you long - since I know that many of you are enjoying vacation as well - but here's the card and the pram together. Hope you like it and that you get the time to create one as well. Quixotic Paperie owned by the supertalented and fabulous Elaine and our supersweet and wonderful Susana of SCACD have been partnering on efforts behind the scenes which have lead to that they consider each other International Sister Stores. They are combining efforts on certain mutual adventures which start with this wonderful Viva Blog Hop! And yes - the hop involves Yummy Candy!! 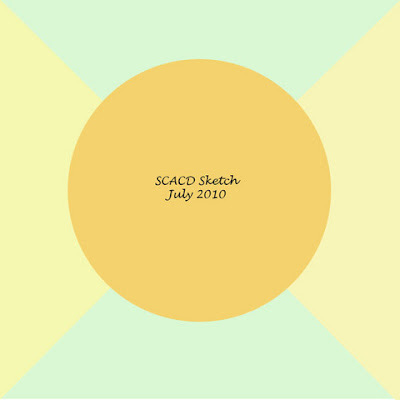 So make sure you stop at BOTH Store Blogs for SCACD and for Quixotic Paperie. Each Store Blog will offer up one chance to win the set. Make sure that you read the details on each store blog and answer the question. The candy runs between July 23rd until July 31st. QUIXOTIC PAPERIE STORE BLOG - Kim - Aud - Judy - Danni - Jacquie - Kim - Dianne - Marti - SCACD STORE BLOG - Rowena - Lori - Kim - Carolyn - Simonne - Anki (me :-) - Emma - Suzanne - Elaine Hughes. Well - with that said - I will try to keep my post very short ;-) I decided to alter a box that Isac had purchased a mini-motorbike in. 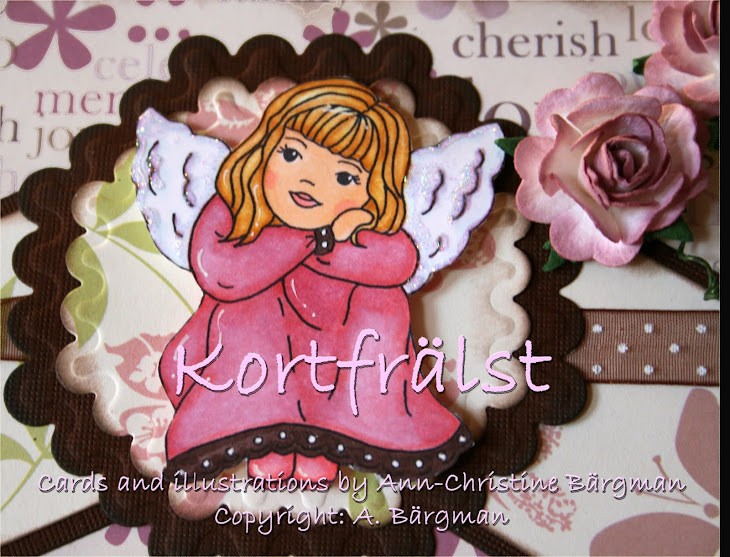 The DPs that I used are from my local craftshop and from a Swedish brand called Maja Design. I chalked with Pine Cone around the edges. The stamp is Flower Power - I just love that girl! Coloured her with my copics and cut her out with my nesties (both the small one and the large pic). Added some some lace that I got from my local craftstore. The chipboard that I altered are from the Maya Road collection. Then I used my Viva Decor Pearl Pen as you can see below. On the image I used my Glitter Liner pen for the leaves, my Viva Decor Gloss Pen for some highlights on her dress and hair and finally the Viva Decor Paper Pen - to create some matching pearls. I also used Tim Holtz Distress Crackle Paint and chalked with Pine Cone around the edges. Here's a pic of the altered box from the side. 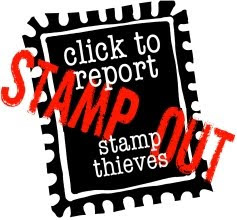 For those of you that - like me - live in Europe - I do hope that you know that the Viva Decor Pens and this adorabe stamp also is available over at QP - being an International Sister Store to SCACD. Thank you for reading this far - and now it's time for you to hop (hope you leave a little mark of your visit before you leave) over to Emma's blog. Welcome to TIOT! This week Suzanne created the wonderful sketch below for you to work with. I got some of my matching DPs from SU out and started to play with them. Then I coloured "Go Green" with my copics in matching colours. Cut her out with my nestie. Added mini-roses and matching ribbon. Sentiment is from Aud Design. Hope you like it and that you will join us for the fun! Thank you so much Gini for the BnW Challenge "Distress" so that I actually forced myself to try them out *lol*. I coloured "Clowning around" . Then I distressed my DPs (from stash) with my Tim Holtz distresser. Added a couple of flowers, buttons and the ticket "Hope" that I got from a very sweet blog-friend of mine. Hope you like it and would like to participate! Our Isac turns 4 today! and of course we will be busy celebrating his big 4 with the Bärgman-Margitin family! He has been waiting for this day for so long - and I hope he will love what we have planned for him. Here's a pic of Isac when we were visiting friends in Switzerland earlier this year! I would also like to celebrate his b'day with my sweet, wonderful and amazing blogfriends all over the world. Therefore I will put together a little candy for you. I hope you will like it - so stay tuned and Candy coming your way this weekend! Now I am off to party with our adorable and very sweet son Isac! Isac - Mom and Dad love you tons! How are you all doing? Enjoying your Summer? I hope so. We are having a very warm Summer in Sweden so far. Our friends from Chicago have now left and we miss them a lot. Isac picked up a lot of English and had so much fun with their Mya and Max. He's now getting ready for his b'day - July 15th when he turns 4. So I will be busy with baking today and tomorrow. Well - over to our TIOT challenge for you this week. Suzanne wants you to create a project with the theme "Clean and Simple" - i.e use lot's of white (or cream) with only 1 pop of colour. The image can be multi-coloured but the papers can not. I decided to use Pink as my "pop" of colour. As for my image I decided to colour "A Puppy is Love". Added a few baubles, ribbon from stash and a few cream roses. Coloured my image with my copics of course (promise - I'm trying to learn to colour with my Distress inks this vacation - but somehow the copics tend to come in handy - especially if you run out of time *lol*. Tons of hugs and now I am off to bake some cakes for Isac's b'day party. So I got to use only 1 DP, but I cut it in different sizes and left some spaces in between - so that the cardstock shows. Added a couple of faux stiches by myself and a lace.